Cape Palliser is located on the southernmost point of the North Island of New Zealand and was sort of on our way to Wellington after leaving Martinborough. The Cape is actually further south on the North Island than the city of Nelson which is on the South Island. The Cape Palliser Lighthouse is located here along with a permanent fur seal colony. The fur seal colony at the cape is the North Island’s largest. 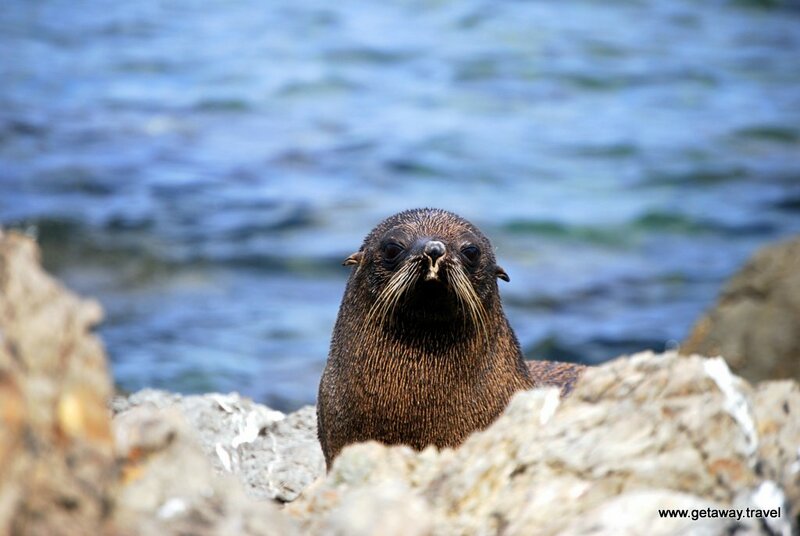 New Zealand fur seals have pointy noses, long whiskers, visible external ears and bodies covered with two layers of fur. These guys were an absolute joy to observe. It was so wonderful to just spend time watching them in their natural habitat. While most seemed a bit indifferent to our visit and you could get fairly close, I didn’t think it too wise to impose so greatly on them. Best to use a telephoto lens instead. And a video to enjoy! This entry was posted in New Zealand, South Pacific, Travel and tagged cape, new zealand, sea lions on March 3, 2013 by Paul - GetAway Travel Service.